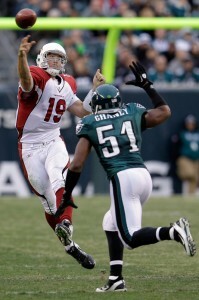 Kevin Kolb should be worried about his job after another solid outing by John Skelton. Skelton passed for 315 yards with three touchdowns and two interceptions, keeping his composure and connecting with Early Doucet for what would be the game winner with under two minutes left. He and Fitzgerald combined for 146 yards and two scores, making Fitzgerald as relevant as he’s been since last season. Even more critical was the defensive play of the Cards which held Vick out of the end zone and only allowed one offensive touchdown. Like Skelton, this is now two solid performances by the Cardinals defense and the team as a whole seems energized by his presence. 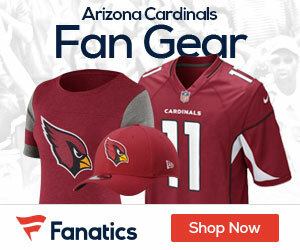 Kolb’s contract may keep him as the starter, but to this point the Cards are a better team with Skelton.